I have a thing for knitting and crocheting for boys and men. Being mostly males in this house, plus Georgia and I not really being girly girls has meant that I am drawn towards more gender neutral designs, both in my own work and when adding to my must-make list. There are designs out there, of course, but a lot of them remain on the out of date or still a wee bit too feminine side. When I saw the title of Katya Frankel's (aka Binge Knitter) new book, I think I actually hopped up and down in excitement. A whole book devoted to my favourite topic? Oh yes. The patterns were instantly queued on Ravelry. And look at those cute boys! My goodness, the photos alone make me want to make everything out of the book. What I like is that the designs are understated - fresh and modern, without being overly done. Although only 5, Ellis already has a clear sense of what he will and won't wear, and he would wear every design in the book - a huge compliment from the intended audience. My favourite has to be Epsilon (the photo at the top) that makes my eyes bleed and fingers itch with the cuteness! Theo James (and probably Georgia) needs one too!!! How long have you been designing knitwear? In a way, I started designing my own knits about 20 years ago. The way I learnt to knit as a child was that I had to put together a stitch pattern, work up a swatch and draft the pattern before starting working on it, to make sure it looks and fits the way I wanted it to. But about 6 years ago, after I got back into knitting I discovered a whole new side of it, concentrating more on finishing techniques and different garment constructions rather than stitch patterns as I used to do. Why write a book just for boys? How did the idea come about? Good question, partly because I thought there weren't enough boys' knitwear designs that were simple, wearable and had a good balance of interesting-to-work-on and perfect-for-watching-telly knitting. It all came about after my son complained that I NEVER knit anything for him and so we sat down and sketched a couple of sweaters for him to choose from. And it kind of snowballed from there, after a couple of days I had a dozen of ideas for different designs whirling in my head. At that time Shannon Okey was starting rejuvenating her publishing company and on a whim I emailed her asking if she thought it was a good idea to invest time in a boys only sort of book. She did. But mostly it was because my son asked me to knit him a jumper and I couldn't decide which one to make. What did you find most challenging about the designing and writing process? Probably fine-tuning all the design elements to make them work together well after I have the initial idea. At least that's the part that I find most time consuming. Making sure that the shaping, sleeve style, stitch patterns and all the little details work across all the sizes in the same way. Second to that is making sure that the pattern is clear and is easy to follow for the knitter. Do you have a favourite design? That's a tricky one - there is something about each design that I absolutely love. But if I had to pick just the one, it'd be Baley because it was the very first one. I took the yarn with us on a week's holiday in Yorkshire to play with and have really good memories [with much muttering under my breath] of trying to work out its sleeve shaping on paper because I didn't take my computer with me. Do your kids have a favourite design? I know almost for certain it's going to be Landon - it was worked up exactly as they requested with stripes on the front and opposite sleeve and no collar. You can buy a copy from Co-operative Press or Ravelry. All photos copyright of Katya Frankel - awesome knits AND cute photos - a woman after my own heart!! Have a lovely weekend! I am 5 days to deadline, so probably see you on the other side! Eeeeep!!!!!!!!!!!!!!!!!!! 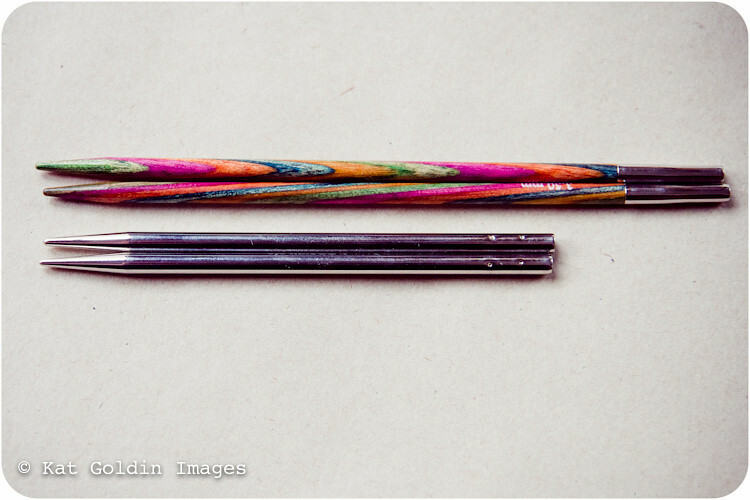 I don't normally do review type posts on here, but with 2 sets of interchangeable knitting needles in the house at the moment (one a gift, one purchased by me) it seemed silly not to compare the two (Plus, I can't think of anything else to write about). Yeah, I know. More Knitting. I actually crochet all the time, but you know...Crochet = work and I am tired of talking about work. Knitting + wine = recreation. So, more posts about knitting for you. I digress. Again. 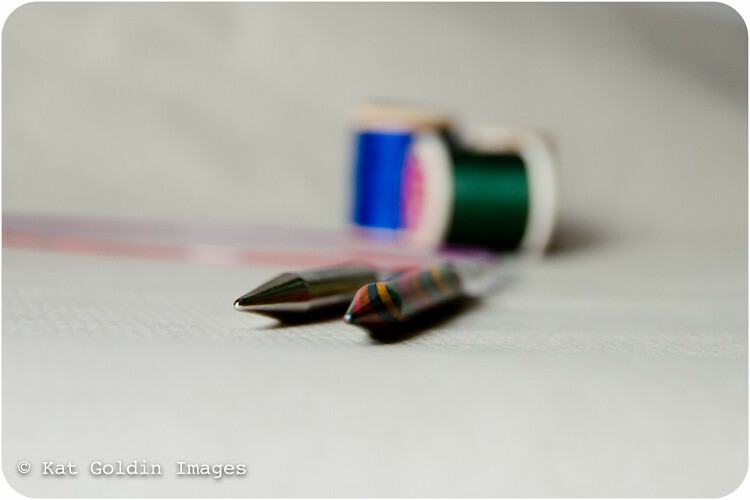 And in case I continue to go off in tangents throughout this post and I bore you to death by the end, here is a summary: The main differences between the two sets (other than the price) is that the Addis are shorter, nickel-plated needles with a click-in system for attaching the needles to the cables. The Symfonie are wooden, longer and have a screw-in system for attaching the cables. 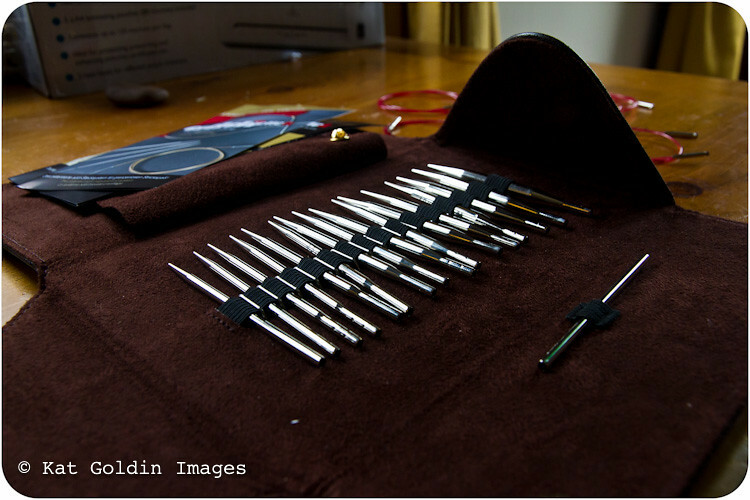 Both sets come with 8 pairs of needles in the same sizes (3.5mm to 8mm). 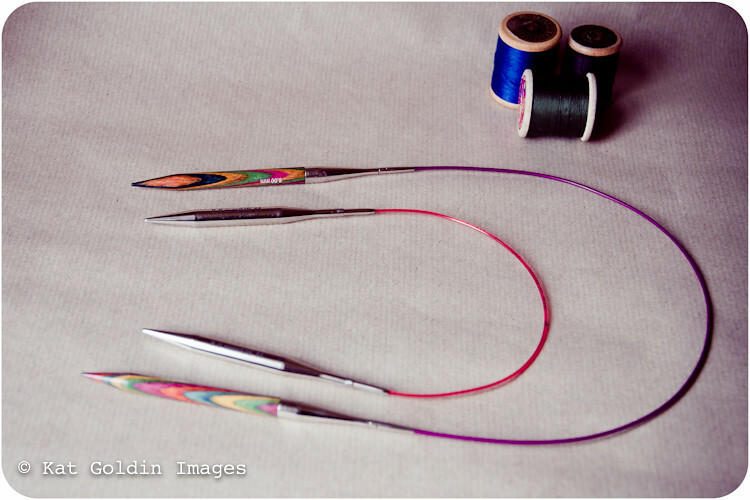 The Addi has an additional cable and can go down to 40cm diameter, whereas the shortest length with the KnitPro needles is 60cm. They are both great. You will not be disappointed with either set. Pointy, nickel plated interchangeables, with the signature red Addi cables. 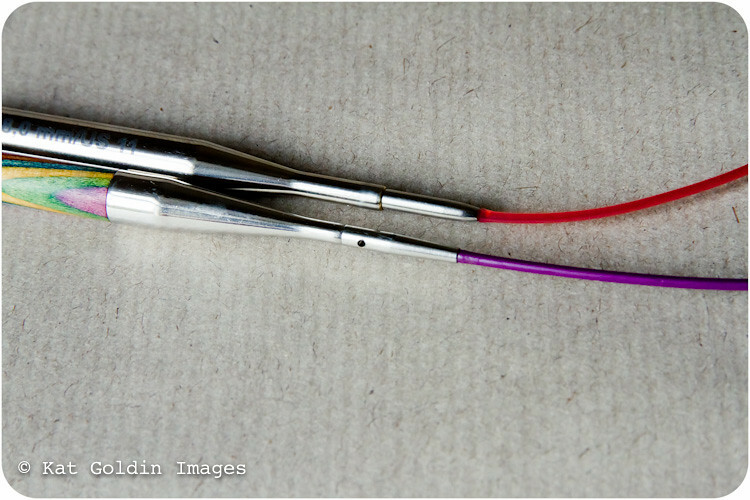 Needle sizes 3.5mm, 4mm, 4.5mm, 5mm, 5.5mm, 6mm, 7mm, 8mm and cable sizes 40, 50, 60, 80 & 100cm (cord length includes the needle tips) plus 1 connector. - Love the click and go system. No screwing in, just a little spring-loaded mechanism to snap in place and then knit. So, no coming unscrewed in the middle of knitting! 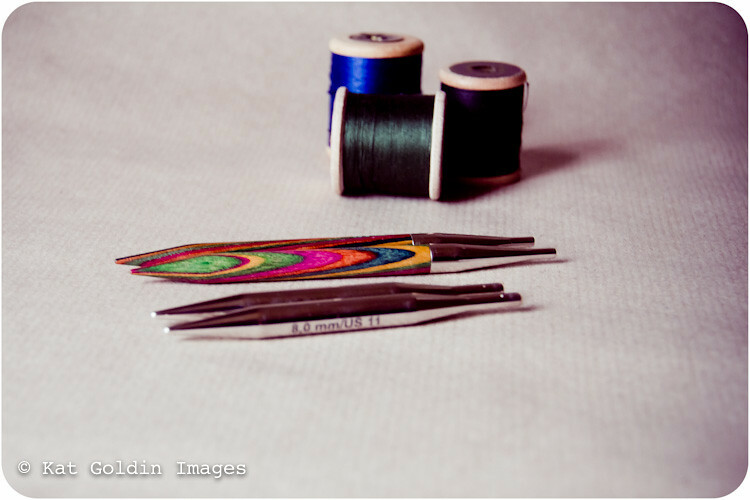 - The short needles - much better for making items with a smaller circumference. - The case is a really lovely and contains everything neatly with lots of pockets for holding other things you might need. - The join. Oh how I want to love these needles, but the slight bump in the join is soooo annoying. Looking online, some people have complained about this, others have not. I think I may be particularly sensitive to it as I am, in life and in knitting, generally easily annoyed. - The cables. Ok, so this isn't a con as such, but there is no contest between the KnitPro cables and the Addi ones. The Addis were much more stiff and had to be dipped in boiling water to release their coil but they are still much better than the rest of my circular. - The Price. Having tried both the Addis and the KnitPros, I would not say that the Addis are worth twice the price. Wooden interchangeables, with the signature purple KnitPro cables. 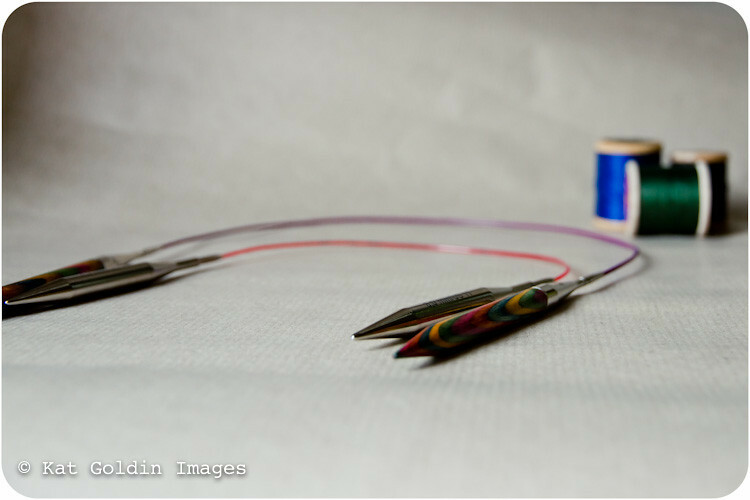 Comes with needle sizes 3.5mm, 4mm, 4.5mm, 5mm, 5.5mm, 6mm, 7mm, 8mm and cable sizes 60cm, 80cm, 100cm and 120cm (with the needles attached). - The cables are sooo nice. No memory, very flexible. A joy to work with. - The wood is lovely, sticky enough to hold onto tricky stitches, smooth enough for easy knitting. - The cable connectors have to be purchased separately, so you can't make very long cables from the get go. I wish I had known this from the start as I now need to wait until I have another purchase to make so I am not charged shipping. - The case is *just* vinyl. There is no problem with it as such, but I can see myself just chucking everything into the bag and creating a big mess. I wouldn't even mention this if I didn't have the Addi case to compare them with. 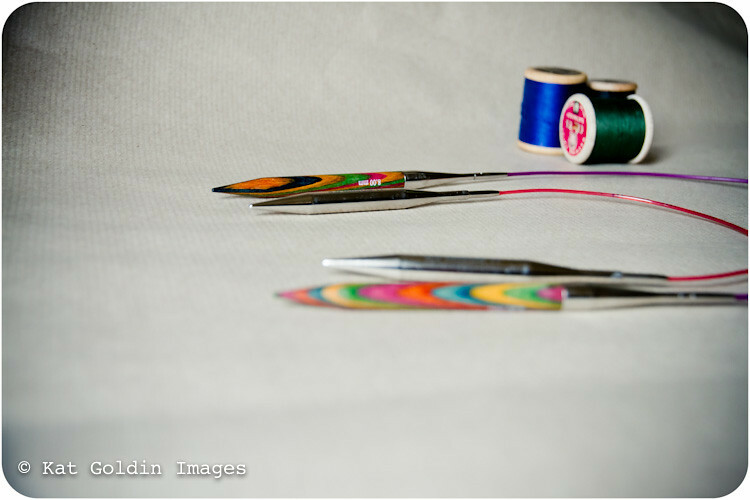 - For me, the biggest con is the needle length and their inablity to handle smaller circumferences. So there you go, my contribution to the ending the world's problem of "Which Set of Interchangeable Knitting Needles Should I Buy?". For me, I am going to keep the KnitPros. Its the gauge issue that swung it for me. I often have to work a full 2 sizes down to get the gauge required without any other factors cooming into play that make me knit even more loosely. Oh and yes, actually, now that you mention it, the pictures were an attempt to make a review of knitting needles seem interesting, as well as sucessfully postponing cleaning my house. I suceeded on one front at least.